Today’s topic is an important one. I talk a lot about marketing. Obviously, it’s what I do, but what do you do before that? Because remember, I said marketing is kind of everything, except taking the money off the customer. So marketing is everything else. What do you do before that? Okay, read all list. A lot list. So first of all, sorry for all you get up and go people, but you need to plan. That means project planning. Marketing is not something you just do on a whim. It is a system. At Marketing For Owners, I explain the perpetual sales cycle. This is a marketing system. It works. You do this and that and that. So in your marketing you need to project plan. I recommend you use a tool like Trello. It’s free. It’s that easy or you can write it down on a piece of paper –and you need to schedule. You have lots of things to do. You need to schedule time. Yes, it’s important. The next thing you need in your planning is you need to plan people. Who is going to do this? Who is going to help? Who’s going to be involved, oversee, etc? You need to know what people are going to be involved and they need to know in advance. It’s no good starting your new system and then asking people if they can help. They may have other things to do or you may think we’ll do this Tuesday morning from 9:30 to 10:00. They may have other plans and 11:00 may have been better for them. So, all these things. Money. These things are not always free. Much of what I teach is free. Doesn’t need any investment. But there will be some things. For instance, your website. It needs to be reworked. That will be hardly an expense. We explained how to put one together for less than $100, hosting, things like that, domain renews, not a lot of money but you need to have some and you need to know how much you’ve got to spend. Again, if you go to marketingforowners.com/71. You will get our ultimate tool guides that has the 71 that we use all the time. virtually every single one in there is free. Okay, free, but you need to know and you may need to have downloaded and install them in advance. You’re not going to need all 71. That’s just explaining everything we use to run our system. I bet you are already thinking — but I set the schedule! You need time. This is not something you just do when you’ve got a minute. It needs dedicated time, scheduled in, doesn’t have to be long. But I recommend you put aside half hour chunks at least. I, obviously, would like you to do more, but I appreciate you’ve got things to do. You’ve got a business to run. Half hour chunks, this is a system that once it sets up, it perpetuates. It does itself. Works itself and saves money overtime. You need to consider training. I mentioned tools. For instance, I mentioned Trello. You may not have heard of Trello. You go to it. You look at it and you think what do I do with that? So, learn how to use it. It does not take long even I managed to figure out. I recommended my team to use it. They were all using it well before I got in and started. It’s easy. It’s one of these intuitive things that you can just start and get on with. Same with Evernote but with Evernote, I’m currently studying how to get better at using Evernote because Evernote does so much more and that’s free. Been using it for ages. I know I’m not using it as efficiently as I can so I need to put aside the time for training so I get better. That’s the same with everything including your team or your staff, whoever is going to help you. Things will have to be set up. Things will have to be started and so on. So you need to set some deadlines so you’ve got something to aim towards. This, I might add, is pretty much how you run any project, any system in your entire business. So this is a lesson for the whole business, but are just calling it a marketing lesson. And that’s what you need to do before you start marketing. Simple. Most important, do something. Do something today. Start, commit, but do something today. Build from there. Everything starts small gets big eventually. Trust me. I’m a doctor. Well, not really. Anyway, it’s Wednesday. It’s time for friendly follow. Today, I am going to recommend a real expert. 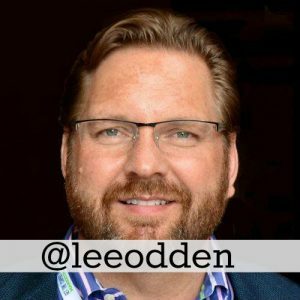 His name is Lee Odden. So his twitter handle is @LeeOdden. Someone said the second D is silent. Lee runs a website and a business school TopRank Marketing. They have been around forever. They are one of the absolute top what used to be called an SEO service online but doing SEO the right way. Now, of course, SEO doing the right way, use content marketing. Now, there are content marketing agency. It’s funny how when SEO was the buzz word till it came bad. TopRank Marketing is the real deal. But it’s on my list of to be read. I read a lot of books, but I know plenty of people who think it’s fantastic. Be sure to check out Lee’s site and read through his stuff. There is a lot there, so don’t overwhelm yourself. Just take it a bit at a time. 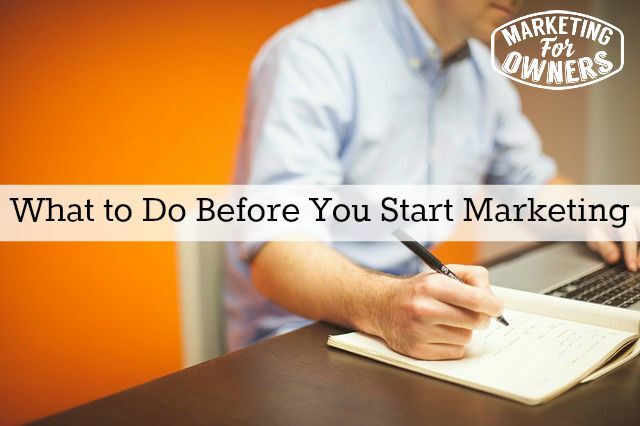 Are you taking these steps before starting your marketing?